Not done yet. It's gameday with a trip to the Sweet 16 on the line. - Oklahoma is 20-10-3 against the spread (ATS) this season - the 12th-best ATS record in the country. 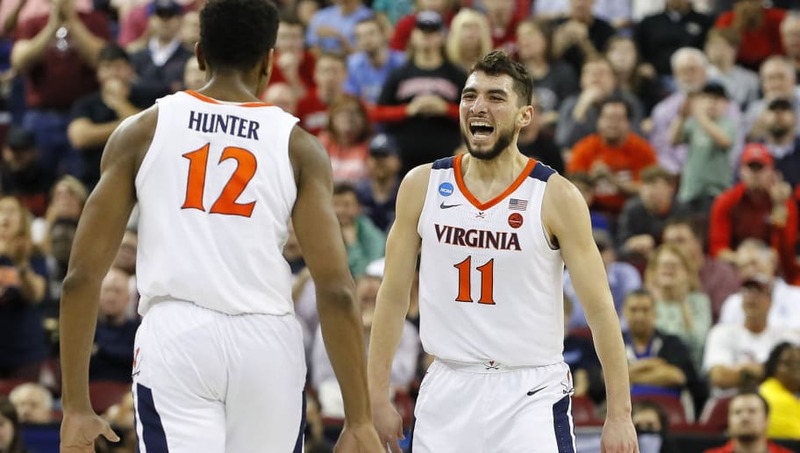 - Virginia is 23-10 ATS, which is the fifth-best record in the nation. - The Sooners have hit the over in just 13 of their 33 contests this season. - The Cavaliers have hit the over 16 times this season. It's on to Oklahoma for the Hoos! All Oklahoma-Virginia betting odds, lines and props available on FanDuel Sportsbook. - Away Team (Oklahoma) Total Points: Under 58.5 (-110) – Virginia has the best scoring defense in the country, but the Sooners are still bringing a formidable scoring attack to the court this Sunday. This Oklahoma team doesn't often have trouble scoring, averaging 71.9 points per game (PPG) on the year. The Sooners have scored 59 or more points in seven of their last eight games, including a 95-point performance against No. 8-seed Ole Miss in the first round of the NCAA Tournament.